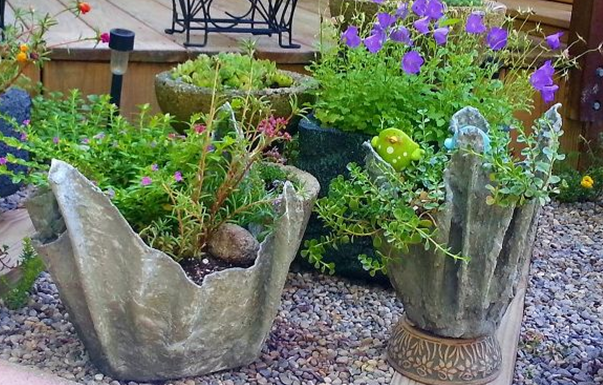 11:00 am – Draped Hypertufa– Advance your Hypertufa Skills by creating a draped hypertufa pot. This year we are offering two different workshops for hypertufa planters! This is the page for the Advanced Hypertufa workshop. Click here to reserve your space for the Basic Hypertufa workshop, to be held immediately prior. Garden Workshops are presented by Wistariahurst Museum Gardeners & the Western Massachusetts Gardeners Association. $30 per participant including materials. Reservations necessary. Click here or call the museum at 413-322-5660 to make reservations.